The De Beers diamond gets its name from the mine where the diamond was discovered in 1888, the De Beers mine, one of the two mines that were dug initially on the farm belonging to Nicolas and Diederick de Beer, near Kimberley, after diamonds were discovered in this farm in the mid-1860s. The De Beers diamond is a 234.65-carat, pale yellow, cushion cut diamond of unknown clarity grade. However, the octahedral features of the rough diamond was at least preserved in the culet of the diamond, which appears to have four octahedral natural facets. See the side view of the De Beers diamond below. In the List of Famous Diamonds Greater than 100 Carats in Weight Arranged in Descending Order of Weights, the De Beers diamond occupies the 10th-position. 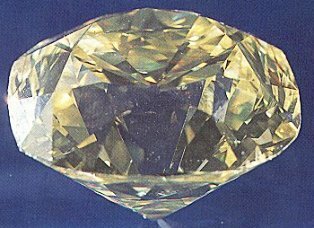 In other words the De Beers diamond is the 9th-largest faceted diamond in the world, excluding the 253.70-carat, natural octahedral diamond crystal, the yellow-colored Oppenheimer diamond. 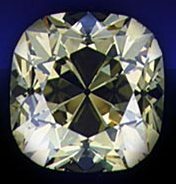 However, according to the List of famous yellow diamonds greater than 100 carats in weight, the De Beers Diamond is the 2nd largest faceted yellow diamond (disregarding the un-cut Oppenheimer) and the largest cushion-cut yellow diamond in the world. See table below. The diamond is most probably a Type IaAB diamond, being a pale yellow diamond, in which the yellow color is caused by groups of 3-atoms of nitrogen, known as N3 centers, which absorb visible light in the blue region of the spectrum, causing it's complementary color yellow color to manifest. The diamond also has A-aggregates (Groups of 2-atoms), and B-aggregates (groups of 4-atoms), but these do not affect the color of the diamond. Almost 98% of all natural diamonds belong to this group. 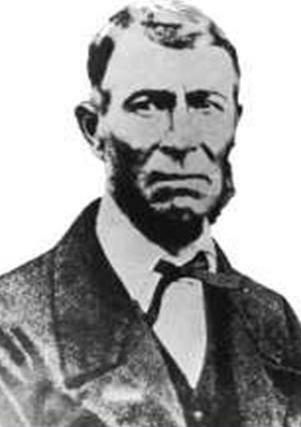 After the discovery of diamonds in South Africa in 1869 on the slopes of Colesberg Kopje on the farm "Vooruitzigt" belonging to Nicholas and Diederick de Beer, two diamond mines were dug on the farm, one known as the Kimberley and the other De Beers. 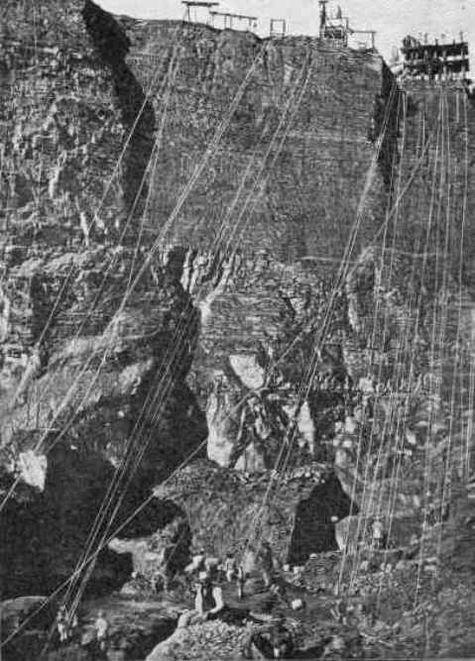 Apart from these two mines other deep diamond mines were also opened in the Kimberley region, such as the Dutoitspan mine, the Koffiefontein mine, the Bultfontein mine and the Wesselton mine. 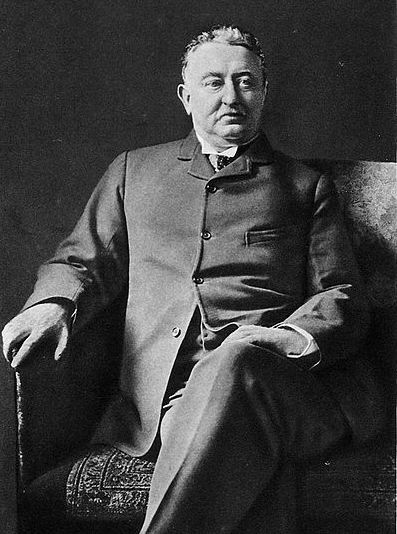 In the year 1871, the English entrepreneur Cecil Rhodes, made an investment on these mines, and eventually after the expansion of his investment bought up most of the diamond mines in Southern Africa. In the month of March, year 1888, Rhodes incorporated the De beers Consolidated Mines Ltd.
Cecil Rhodes founder-chairman of De Beers Consolidated Mines Ltd.
Not long after the formation of this new company in March 1888, a very large, naturally formed, octahedral, light yellow diamond crystal was discovered in the De Beers mine, weighing 428.50 carats. The octahedral crystal had dimensions of 38 mm square at the center and 47.6 mm along it's long axis. It was the third largest gem-quality rough diamond to be discovered at that time, after the 787 carat Great Mogul diamond and the 490-carat Kimberley diamond. However after the discovery of the 995-carat Excelsior in 1893 and the 650.80-carat Jubilee in 1895, the De Beers diamond was pushed to the 5th-place by the end of the 19th century. Today, the De Beers rough diamond occupies the 26th-place in this list of largest gem-quality rough diamonds ever discovered as at year 2011. See table below. 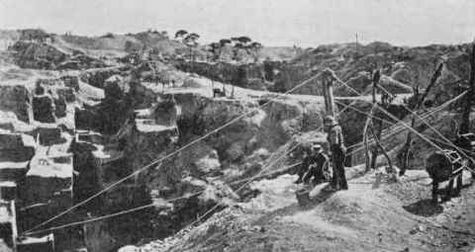 The discovery of the De Beers rough diamond in 1888 - the 2nd-largest, gem-quality, rough diamond to be discovered, since mining activities began in South Africa in 1869 - from one of the six diamond mines worked in the Kimberley region, around this period, provided an added incentive for further mining activity, that was pursued aggressively during this period. The largest gem-quality rough diamond to be discovered from the Kimberley diamond mine in South Africa during the period 1869-1871, is the 490-carat Kimberley rough diamond. The possible country where the De Beers diamond was cut and processed ? Even though the country where the De Beers diamond was cut is not known precisely, it must have been at Amsterdam in the Netherlands, because around this time Amsterdam was the leading diamond cutting center in the world, and most of the diamonds mined in South Africa were eventually reaching there. The rough diamond was transformed by the cutters, into a 234.65-carat, cushion-cut, pale yellow stone. However, the octahedral features of the rough diamond was at least preserved in the culet of the diamond. 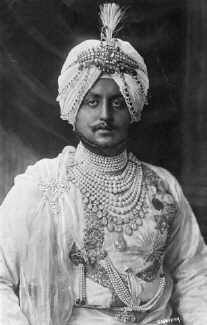 The De Beers diamond was purchased by the Maharajah of Patiala, Bhupendra Singh, after it was displayed at an exhibition held in Paris in 1928. Patiala was a princely state in Punjab, in Northwestern India, which at the time of independence, merged with India in 1947. Bhupendra Singh's rule over Patiala extended from 1900 to 1938. The Princes and Princesses of the former princely states of India, were granted special privileges even after independent India came into existence in 1947. These privileges were subsequently withdrawn during the period of Mrs. Indira Gandhi, as Prime Minister, by a constitutional amendment passed in 1970. 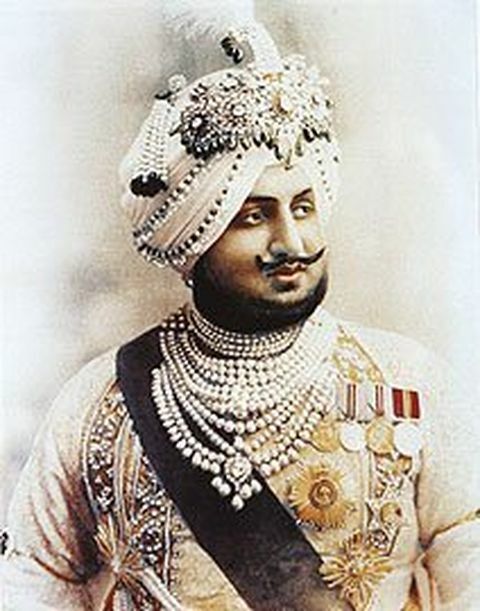 In 1928 at the request of the Maharajah of Patiala, Bhupendra Singh, the jewelry firm Cartier's of Paris set the De Beers diamond, as the centerpiece of a ceremonial necklace that came to be known as "Patiala Necklace," which without any doubt was one of the most spectacular pieces of jewelry ever created. In addition to the De Beers diamond weighing 234.69 carats, there were seven other big diamonds ranging from 18 to 73 carats, incorporated into the necklace. Several expensive Burmese Rubies were also placed in the necklace. 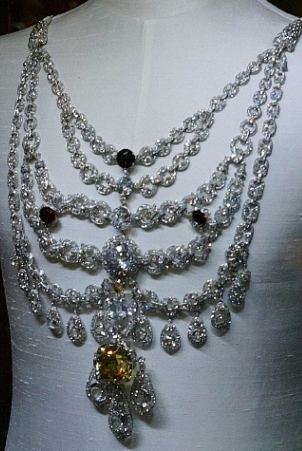 In all, the necklace also contained 2,930, smaller diamonds, weighing about 962.25 carats. Had this unique jewelry masterpiece existed today, by current market values, in addition to it's great historic significance which also adds to it's value, the price of this spectacular necklace, would have been beyond estimation. But unfortunately after the abolition of the Patiala Raj with India's independence in 1947, the Patiala necklace too disappeared. Perhaps, it was disposed of by the royal family fearing it's confiscation by the new Indian Government. Then in 1998, the remnants of the Patiala necklace were accidentally discovered in a second hand jewelry shop in London, by a curious customer. All the big stones in the necklace, which included the De Beers diamond and the seven other big diamonds ranging from 18 to 73 carats, and the rubies had all been disposed of. Cartier's acquired the remains of the necklace from the London jewelry store, and embarked upon the most difficult task of trying to restore the necklace to it's former pristine glory. It took them four long years to complete the job. At first they tried to replace the missing diamonds with natural white sapphire or white topaz, but the results were very disappointing. Subsequently, they decided to use cubic zirconium to replace the seven large diamonds. The resulting effect was encouraging, though not as good as the original diamonds. Colorless zirconium resemble diamond in it's luster and brilliance. The missing De beers diamond was replaced with an exact replica made either of yellow cubic zirconium or synthetic yellow sapphire. The original Burma rubies were substituted with synthetic rubies. The De Beers diamond suddenly surfaced again on May 6th, 1982, when it's anonymous owner put it up for auction at Sotheby's in Geneva. The speculation in the diamond trade was that the bidding for the stone could reach as much as US$ 4.5 million, but eventually the stone was purchased at the top bid of US$ 3.16 million, by an anonymous buyer, still much below it's undisclosed reserve. 5) The Diamond Mines of South Africa - by Gardner F. Williams M.A. published in 1905, by B.F. Buck & Company, New York.